The Dialogue on Men’s Health is a series of national discussions involving experts from all sectors who are interested in advancing the health of all Americans, with a particular focus on improving the health and well-being of boys, men and their families. The Dialogue is driving greater consciousness and awareness of male health issues, including education, workforce, and criminal justice issues, and the effect those have on family and friends. To date there have been over a dozen meetings of the Dialogue. 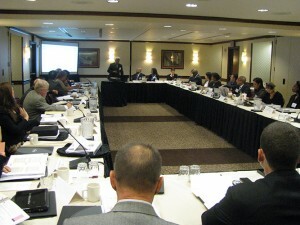 The kickoff meeting was held in 2012 in Washington, D.C., by Men’s Health Network (MHN) and nine co-sponsoring organizations. Since then, over 50 organizations, agencies, and professional associations have participated, and several break-out working group meetings have been held focusing on different aspects of male health and well-being: patient/providers, research, communications, and best practices. 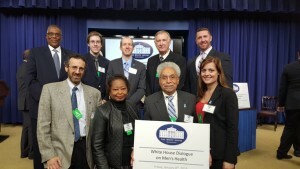 On January 8, 2016, the White House hosted a Dialogue on Men’s Health meeting with over 200 participants from all sectors. You can read about the event, see photos, and view the webcast here. For video and interviews from previous Dialogue on Men’s Health meetings, click here. In February 2013, the Men’s Health Braintrust completed its work on the Position / White Paper, “A Framework for Advancing the Overall Health and Wellness of America’s Boys and Men”. This document is available in the Men’s Health Library. 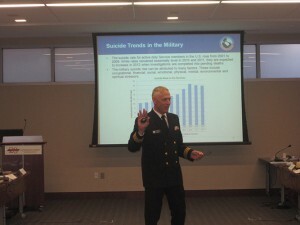 In September 2013, a second White Paper was published, “Providing for and Influencing the Care of Boys and Men in America,” following the Dialogue on Men’s Health, Patients and Providers Workgroup Conference in May 2013. The Executive Summary of the document can be found here. The 20 page White Paper can be found here. The third paper, “A National Policy Agenda to Enhance Health Across the Lifespan”, was published in 2013 by the Men’s Health Caucus of the American Public Health Association, establishing a national agenda and framework to advance the health of boys and men. That paper can be found here. An upcoming fourth paper will focus on best practices for engaging boys and men in their health, based on discussions at the November 20 Dialogue meeting that convened over 30 participants from both the public and private sectors that have crafted successful programs around the country. Identify programs and initiatives that are working to improve the health and wellbeing of boys and men, and invite them to participate on some level with the Dialogue.